I love to teach creative paper crafting to women and children, especially those who think they are not creative. I am building a team of caring and loving people who like to earn extra money, get free supplies while helping others. If you want to be a part of my team, complete the form below. Do you have questions? Would you like more information about hosting a party? Complete the form below or contact me directly. 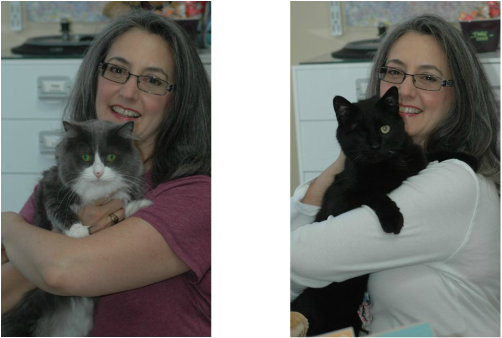 Ellen and my "kids" - Ashley and one-eyed Sam!& one-eyed Sam!